The KOMTAR Bus Terminal is located underneath Penang's tallest building and is a major intersection for nearly all of the local buses operated by the Rapid Penang bus company (the main bus company on Penang Island), offering routes to all destinations both on the island and to the mainland, via the Penang bridges. 99% of buses that leave from Weld Quay Bus Terminal (Penang Jeti) - (located next to the Penang to Butterworth Ferry Terminal) will stop at KOMTAR Bus Station, before heading off to their final destination. The bus station is divided into 5 lanes, with each lane having specific destinations. There is a large departures board hanging up on the side of the bus station to let you know when the next bus is expected and from which lane the bus departs. If you need any further assistance, there is a small Rapid Penang information kiosk, just on the right-hand side of the entrance. 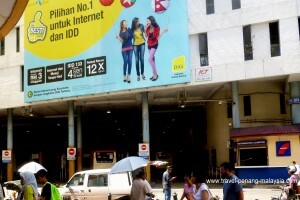 Photo of the entrance to KOMTAR Bus Terminal with the information kiosk on the right-hand side. Photo from inside the bus station, with the departures board on the back wall. If you want to catch the FreeCat city bus, this bus actually stops on the main road (Jalan Ria) outside the bus station, just next to the information kiosk. KOMTAR is also a point where you will find a number of long-distance buses leaving from, although this number is dwindling over the years as most long distance buses now leave from the Sungai Nibong Bus Terminal on Penang Island, or from Butterworth Bus Terminal on the mainland. These long-distance buses, do not leave from the bus station itself as the station is only for local buses. They leave from in front of a number of ticketing agents offices, that are located around the area. They also do not drop off passengers here - it is now only used as a pickup point. 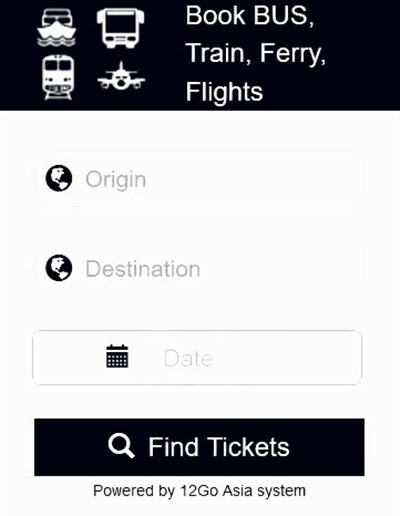 If you wish to depart from here and catch a bus to places like Kuala Lumpur, Thailand or Singapore for example, you can buy tickets from the agents located along Jalan Ria, just before you get to the Bus Station. They will sell you tickets for buses leaving from all points in Penang or Butterworth. Just make sure you know where you are leaving from! 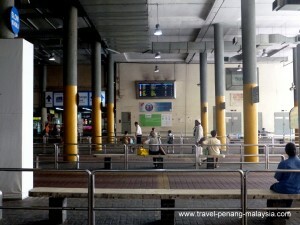 In our view, if you are staying in the old part of town and can't get the bus you want from KOMTAR, it is much easier to catch the ferry over to Butterworth Bus Terminal, than it is to catch a bus out to Sungai Nibong Bus Terminal. 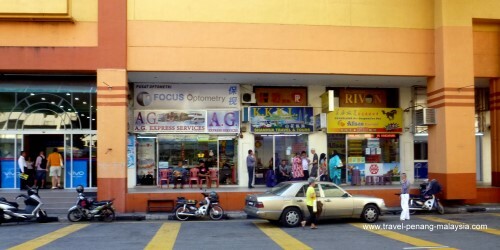 The bus station is located just off Jalan Ria, which is the road that passes underneath the KOMTAR complex, connecting Jalan Dr Lim Chwee Leong with Jalan Magazine. If you are staying in George Town, you can jump nearly any bus (including the free city bus) or walk there quite easily (just look out for the KOMTAR Tower, which can be seen from most places in the old part of town).